I brought up an additional MOnSter6502 board today. At first it failed my basic validation routines, tripping up on the LDA nn,Y instruction ($B9). The bus diagnostic output showed that LDA nn,Y was trying to read nn+Y+1 instead of nn+Y (in my test, it accessed $0211 instead of $0210). The LEDs showed that the Y register contained the expected value, so I thought the ALU carry in signal may have been loading a ‘1’ instead of a ‘0’, thus causing the incremented value. I scoped it out and it was fine. Those transistors are in bit zero of the Y register. The one on the left prevents anything but a ‘1’ from being in the LSB. The one on the right was supposed to drive the LED on so that I could tell the bit was stuck, but it decided to cover for its dead buddy. I don’t even know how this happened. It could have been shipping damage, or maybe I fat fingered a screwdriver. After fixing it, the board worked fine. Two dead transistors and a lying LED. Gotta love transistor level debugging. Where we left off, the MOnSter 6502 had successfully ran a basic validation suite that validated a subset of the instructions but checked every bus cycle for accuracy. Shortly afterwards I was able to get it to run the full validation suite. BASIC ran just fine after that. It was quite slow with a 6KHz clock but it was enough to run some simple BASIC programs. 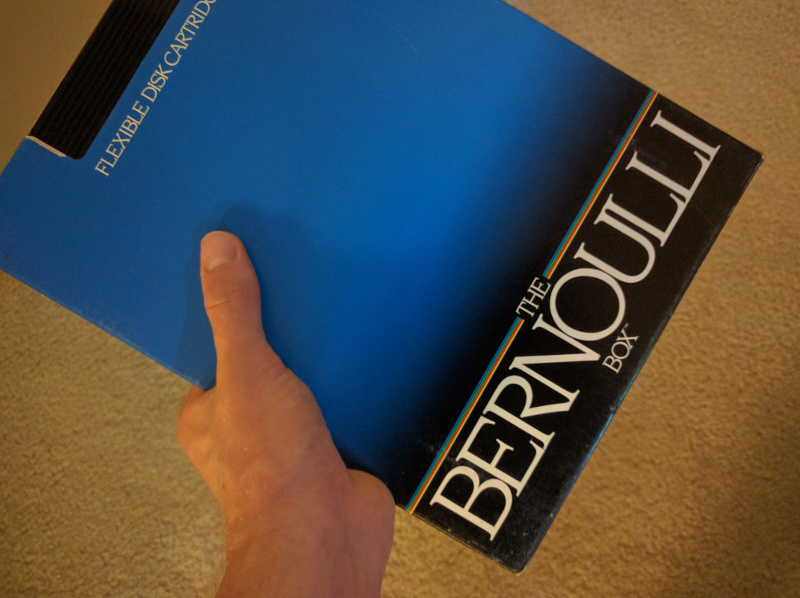 Typing was difficult because my validation computer uses an Atari POKEY chip to scan the keyboard, and it latches keystrokes very slowly because of the slow bus clock. I’ve been experimenting with increasing the maximum clock frequency. It helped to reduce the bus capacitance that I added, but if I went too low, it cut into the minimum operating frequency. With less bus capacitance I was able to get the clock up to about 60KHz, and BASIC is quite usable at this speed. The circled node is the storage node of the dynamic latch. If CP1 is off for too long, then this node can discharge, going from a ‘1’ to a ‘0’. 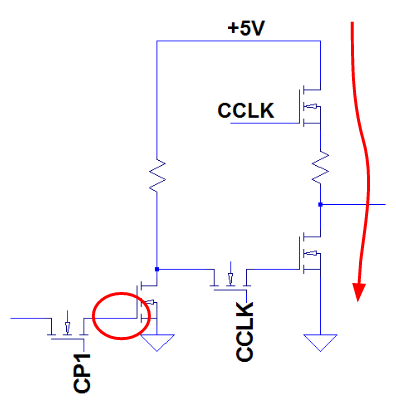 When that happens, the output goes high and drives a ‘1’ into the pulldown transistor when CCLK goes high. CCLK turns on the pullup at the same time. As you can see in the diagram, I’ve added a small resistor in between both transistors to limit the current. This resistor, although it protects the transistors, also limits the maximum clock speed by limiting how fast the bus capacitance can charge up. I’ll be experimenting with some alternative ways of protecting the transistors without slowing down the bus too much. Wow, Maker Faire was totally nuts! 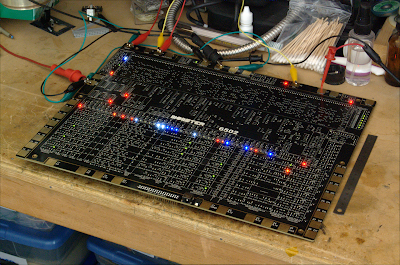 Lots of people came by to check out the MOnSter 6502 and I had some interesting conversations with people. After taking a few days to recover, I dug back into the bringup and validation process. 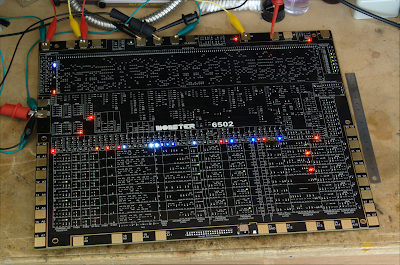 The MOnSter 6502 now passes my basic validation test suite. I discovered two problems. It was not booting consistently, and kept getting stuck in a bad state where the ‘1’ bit would run off the end of the instruction sequencer, or it would get stuck in a loop running the same (wrong) instruction over and over again. The RESG latch also was stuck on. When RESET goes low, it turns on RESG. This forces the BRK instruction (which is meant to trigger a software interrupt) into the predecode IR (instruction register) by deasserting D1x1, sets the vector address to the reset vector (instead of the IRQ vector, as BRK normally does), and prevents BRK from writing to the stack so it can’t push the program counter and status bits. When BRK is done, it clears the RESG latch. This is a very clever hack that the original designers used so they could avoid having to run a reset line all over the chip. Oddly, even when RESG was set (I could tell by a convenient LED), the contents of the IR were not all ‘0’ (again, according to convenient LEDs). 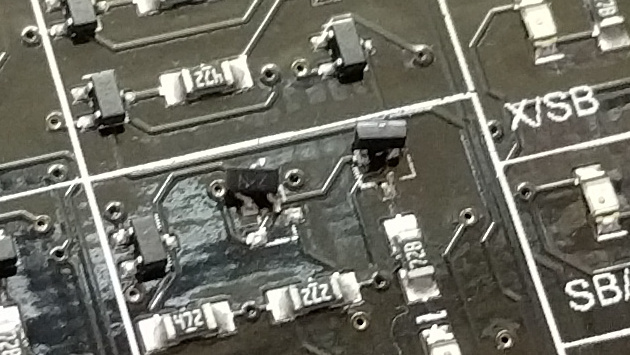 Turns out the quad FET array devices used in the IR had some leads that were not soldered down correctly. Fixing that solved the problem. After trying to run the validation suite again, it started failing the cycle-by-cycle validation on the first time an actual BRK instruction was supposed to be executed. BRK saves the least significant byte of the program counter the most significant byte, and finally the contents of the status register to the stack (with the B bit set so your interrupt service routine can tell the difference between BRK and a hardware IRQ). In this case, it was writing the most significant byte and the status register to the wrong locations in memory. So I hard-wired the PHA (PusH Accumulator) instruction onto the data bus so I could observe a very simple instruction write to the stack. The value was written correctly, but instead of decrementing the stack pointer by 1, it subtracted 18! PHA decrements the SP by loading it onto the ADL bus and setting the ALU to add with the B input hold register connected to ADL and the A input hold register connected to the special bus. The idea is that by adding $FF you decrease the value by one. This only works if nothing else is driving the special bus except for the precharge pullup MOSFETs. It’s another clever hack from the original 6502 designers. In my case, instead of seeing $FF, the ALU was latching $EE! I tried adding a small amount of capacitance from special bus lines 0 and 4 to ground to keep the voltage up from the precharge cycle, and PHA then worked correctly. I ended up adding capacitors to all the bus lines just in case. After those fixes my basic validation test suite passed without any further issues. The next step is to run a more complete set of validation tests, and then BASIC! 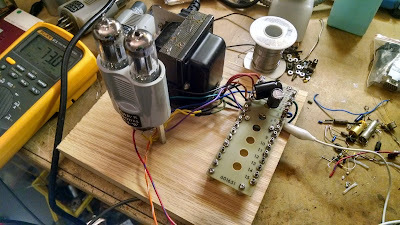 A customer recently asked us some questions about the Three Fives discrete 555 timer kit. One in particular really got my attention. …Table S-2 points out that the threshold overrides the trigger for the type LM555H (National), but the threshold is overridden by the trigger for the type NE555V (Signetics). Let’s compare the two. First, here’s the NE555 schematic (click for larger versions). And here’s the LM555 schematic. I’ve kept the component numbering consistent with the NE555 datasheet rather than National’s datasheet to make comparisons easy. The trigger comparator now has a current mirror active load (Q26 and Q27) instead of resistor load R6. The threshold comparator gets a current mirror active load (Q28 and Q29) and an emitter follower buffer Q30. R10 is now 7.5K instead of 15K, but I suspect there is a typo. Imagine several generations of photocopies. The 1 starts to look like a 7, and a decimal point appears. The most interesting changes are the first two. How do these changes reverse the priority of the two comparator inputs? The original NE555 gives priority to the trigger signal because transistor Q15 can always overpower the current coming from Q19A and Q6. For the LM555 in the normal case where the trigger signal is active, Q15 is on, Q16 is off, and Q17 is on hard since its base is pulled to VCC through Q18, R10, and the current mirror Q19. If you look carefully at the V(comp) trace right before 12ms, it actually goes negative due to Q18 behaving like a diode clamp. And the LM555 at the same temperature ranges. Note that I put the temperature coefficients only on resistors inside the 555 timers, not on any of the external oscillator components. If you want to play with the LTSpice circuits, click the links below to download them. A quick side note about the names: The LM in the part number stands for Linear Monolithic, which National Semiconductor used to describe many of their analog ICs. The NE probably stands for Network Electronics (the sources are anecdotal). Apparently the Signetics name came from Signal Network Electronics. Inspired by commenter Katemonster, I’ve put together a short clip with a couple of CRTs from my collection, demonstrating various types of phosphors. There are charts out there that talk about persistence using vague terms like “medium” (compared to what? ), so it’s nice to see a real video showing what such a CRT actually looks like. For the video I’ve used my “orbiter” demo that uses Newton’s law of gravity and Newton’s 2nd law of motion (F=MA) to generate simulated planets that orbit around a sun. It’s a nice way to demonstrate persistence (the way the phosphor fades as the electron beam moves away). This is the basic green phosphor. At 525nm primary color wavelength, it looks slightly more blue than common super-bright green LEDs. The chart linked above lists the persistence time as 20ms which seems reasonable. The formulation for this phosphor varies between manufacturers so some tubes might be slower than others. It’s very common in early oscilloscopes and oscillographs, and apparently some radar systems as well. The P2 phosphor color has even more blue in it than the P1–it’s very close to “stoplight green”. The persistence is much longer as you can see in the video (30 seconds or more, depending on the ambient light levels). The charts and reference documents I have list the primary applications as oscillography and radar. P7 is a very interesting phosphor. It is a cascade phosphor, meaning that it has two layers of material. The electron beam strikes the first (outer) layer which emits a bright blue light with some light near ultraviolet. This high energy light excites the second layer (inner, in contact with the glass) which is a much slower material that emits a yellowish-green light with a very long persistence (around a minute). In the video I move the “orbit” trace off to the side so you can see that original afterimage persists. It was used mostly for radar and sometimes in oscilloscopes to capture one-time events before storage tubes were invented. This one is my favorite. It’s an orange medium-persistence (a few seconds) phosphor that was apparently used for radar indicators. I don’t know of any that were used in oscilloscopes. The P31 phosphor was invented as an improved P1 phosphor. It’s much brighter (P1 is 32% as bright) and has short persistence (<1ms). The color has a bit more blue in it–in fact, very close to the P2 phosphor’s color. 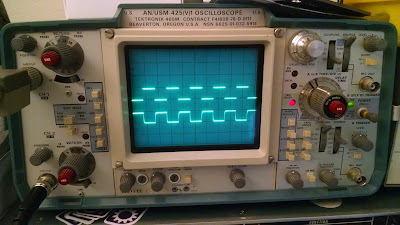 I would say most analog oscilloscopes from the 70s to today use CRTs with the P31 phosphor. In many cases these CRTs would be installed behind a colored piece of plastic acting as a color filter. For example, P7 CRTs were often installed with an orange plastic filter in front to make the blue/white phosphor look more similar to the secondary yellow phosphor. P31 CRTs usually have a blue or green plastic filter. The MIT Radiation Lab Series book on Radar Systems Engineering. Lots of good stuff here, look at pg.louis vuitton outlet 614 which discusses the design details of the AN/APS-10 radar system. Apparently it used either a 5FP14 or a 5FP7 screen. The MIT Radiation Lab Series book on Cathode Ray Tube Displays See page 5 for a good historical discussion on phosphor types. Take a look at my crt-driver GitHub repository. I tidied things up a bit and more importantly, released the Altium project files, schematics, boards, and even the output job file. It’s all licensed under the Creative Commons Attribution-ShareAlike 3.0 license. Read the Creative Commons page for the full terms, but basically you can share or adapt any of it as long as you give me credit (a link to this blog would be appreciated) and make sure that you keep the same license so that others can do the same. If you don’t have Altium (expensive, closed source), you can at least open and edit the schematics with CircuitMaker (free, closed source, limited). Sadly, CircuitMaker will not let you edit the Altium PCB layout. 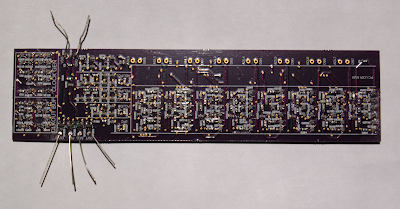 Gerbers are in the repository but you can get them directly from OshPark by clicking the links for each board above. 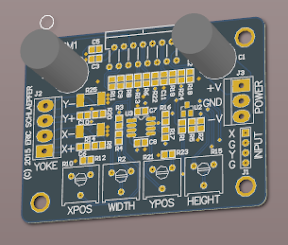 This board, unlike the others I’ve developed so far, requires both +12V and -12V. 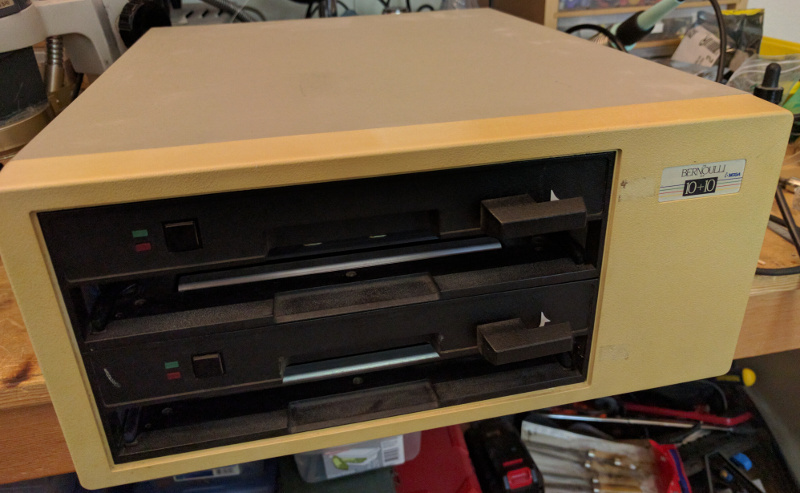 My projects typically use an Artesyn NFS40-7608J but it is now obsolete and a bit expensive, so you probably should use something else for power. There are places on the board (C6/R9, C10/R20) for coil compensation components. You can figure out the values that you need with a little experimentation. 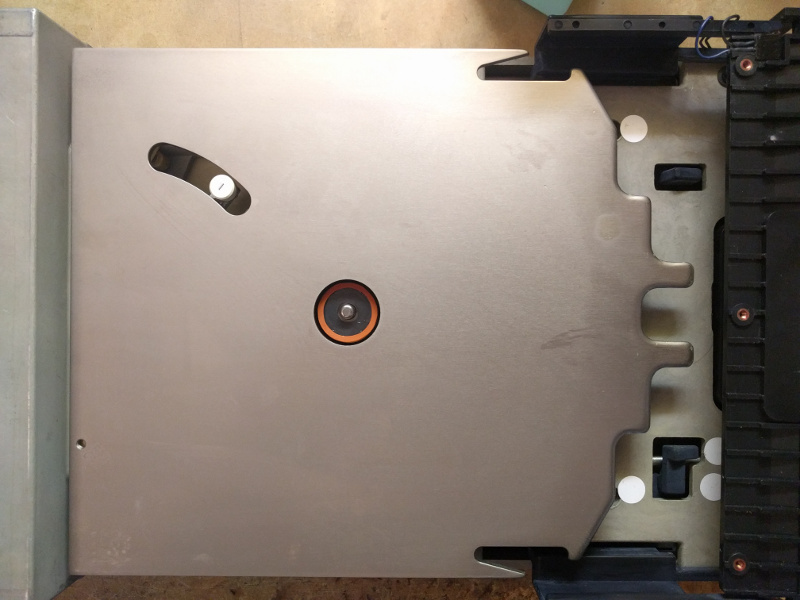 The board is designed for a vector-style yoke, not the far more common raster scan yoke that has a high inductance vertical deflection coil with lots and lots of turns. It can usually drive the horizontal coil no problem, but you’ll want to modify the vertical winding to reduce the number of turns. Check out my blog post on winding deflection yokes for more information on making your own. The LM4765 audio amplifier, which drives the deflection coils, will dissipate a lot of heat so you will need to bolt it onto a good-sized heat sink (at least 3″ x 3″ aluminum with fins, not some dinky little TO-220 clip-style heat sink). Circuit operation is pretty straightforward. CRT electron beam deflection is proportional to the magnetic field which is proportional to the current in the coil, so the LM4765 controls the coil current (measured through R14/R25) instead of the voltage. The current is therefore directly proportional to the input voltage (X or Y). 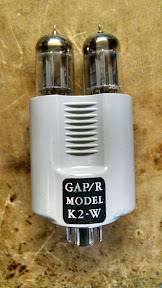 An extra gain stage facilitates the width/height and left/right offset adjustments.